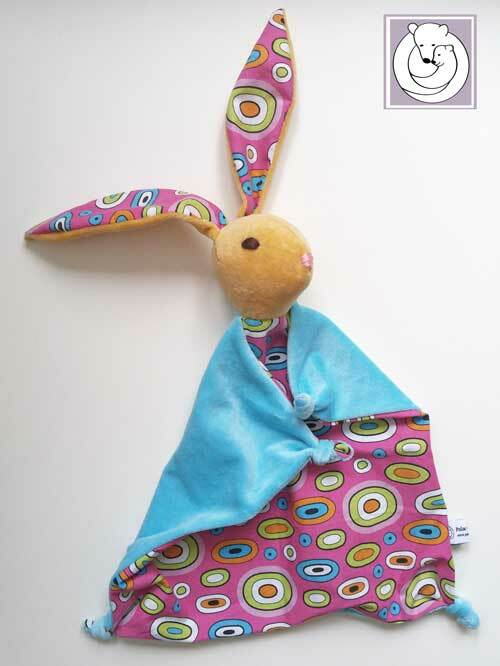 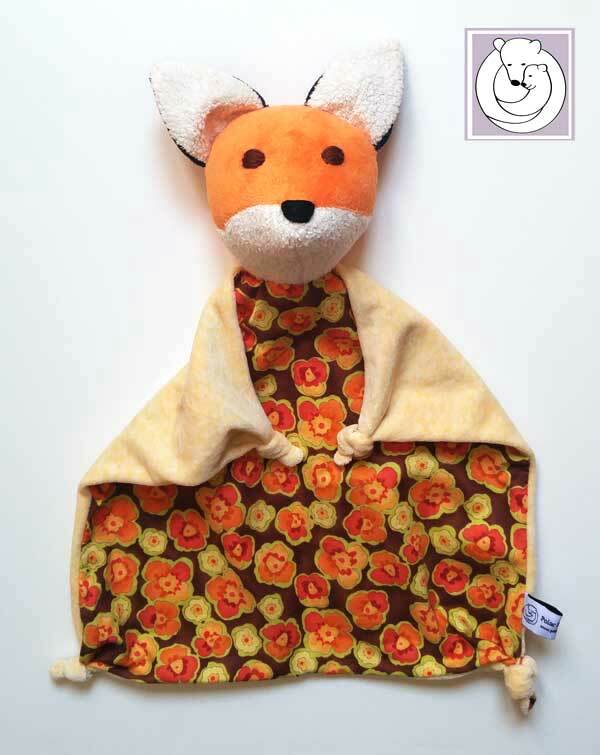 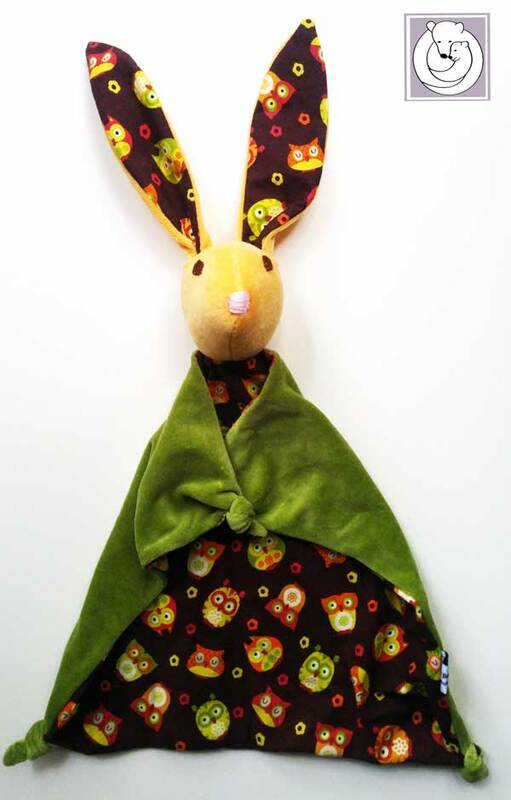 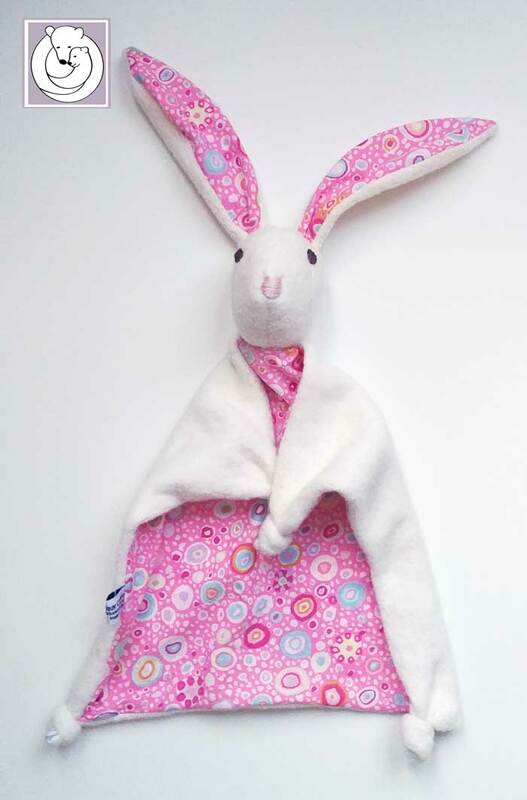 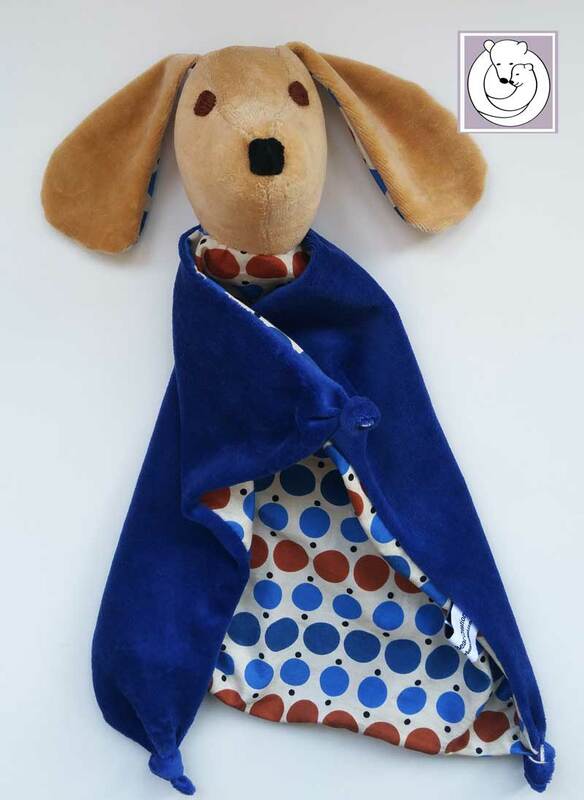 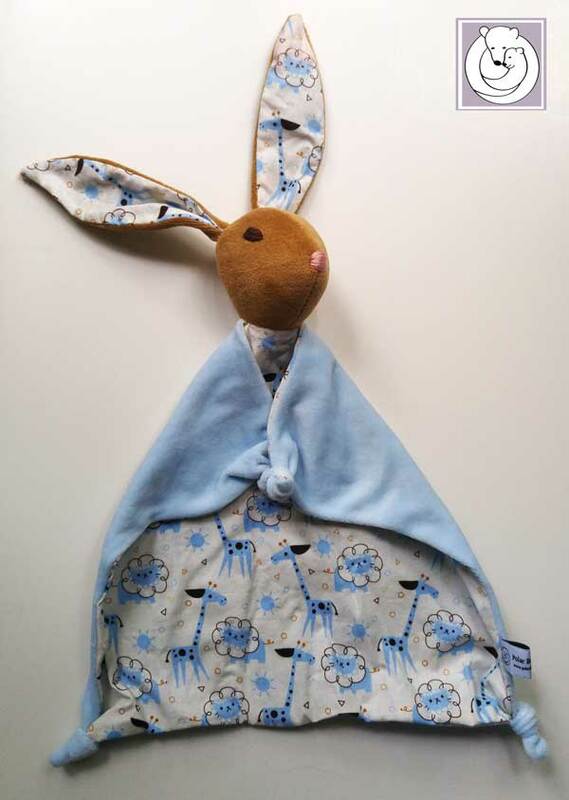 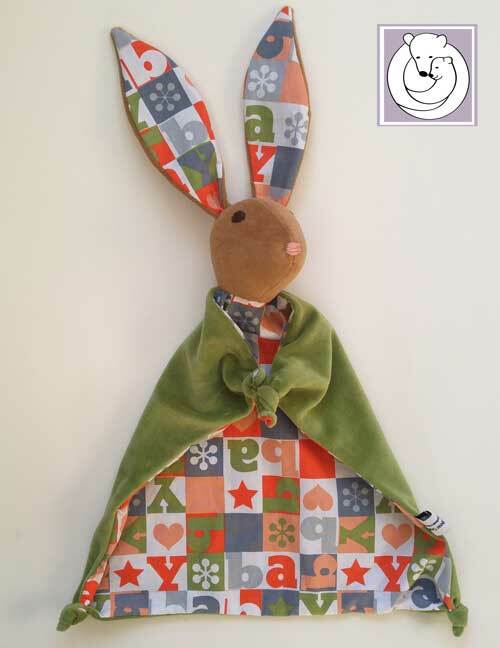 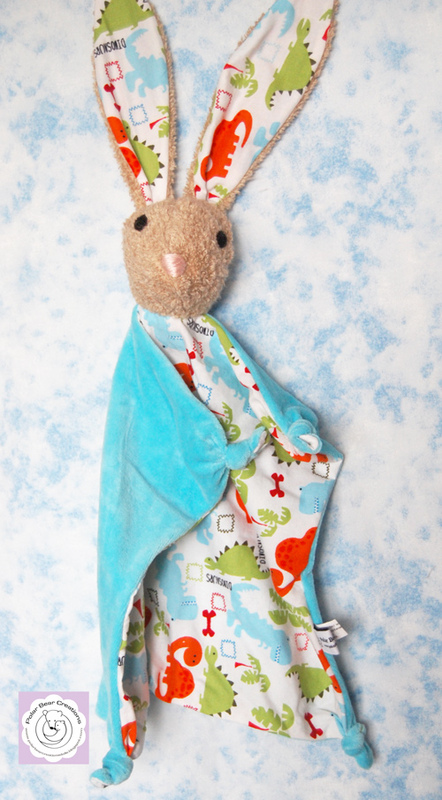 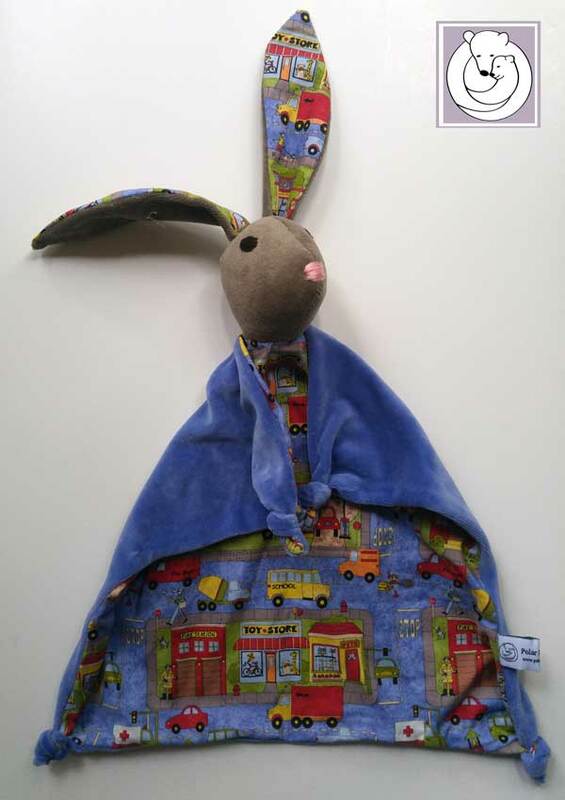 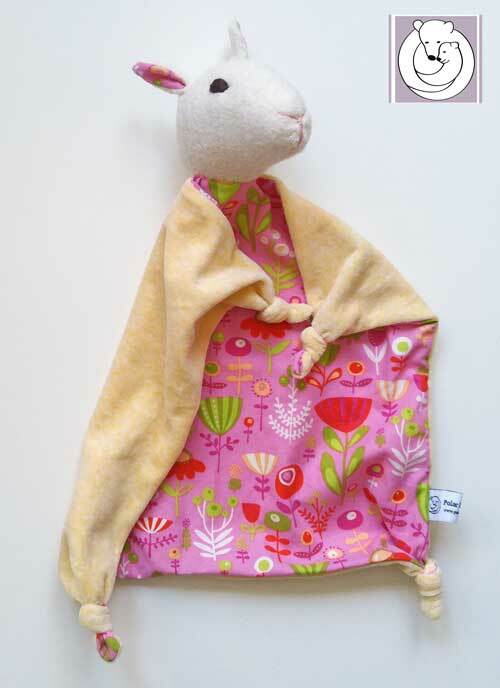 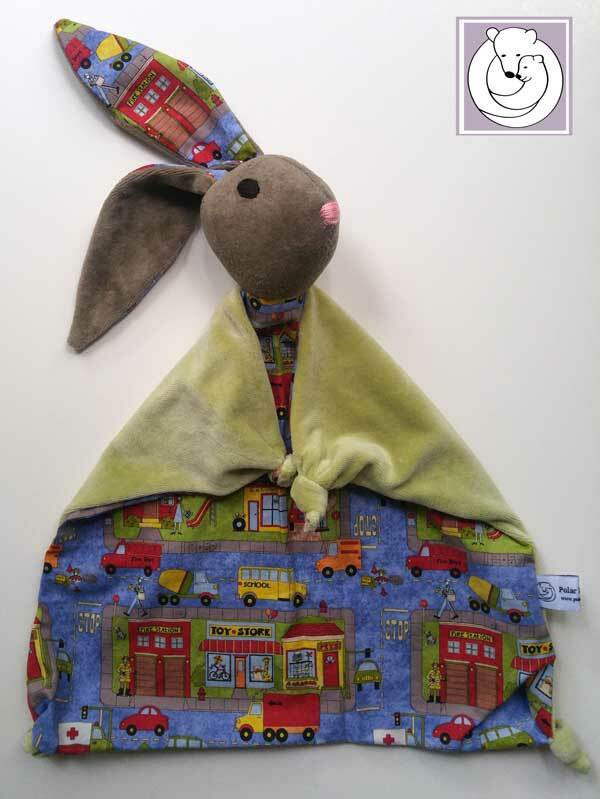 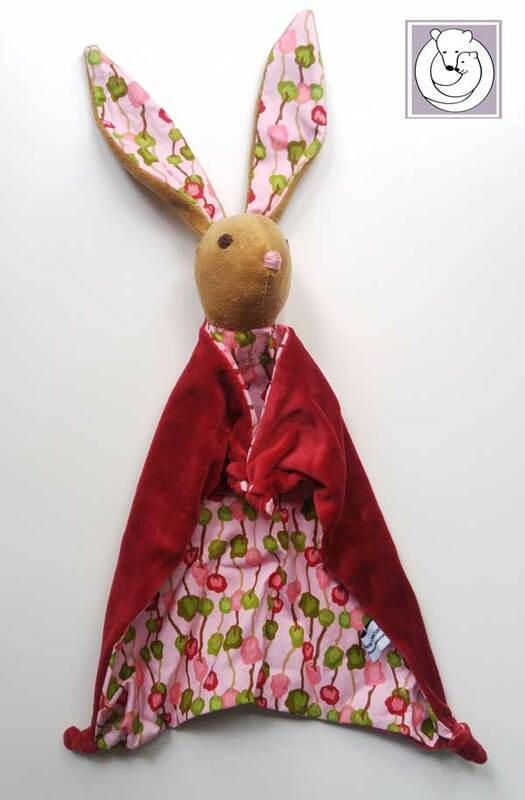 These blanky’s are made with all natural materials and perfect for babies , toddler and children to cuddle with. 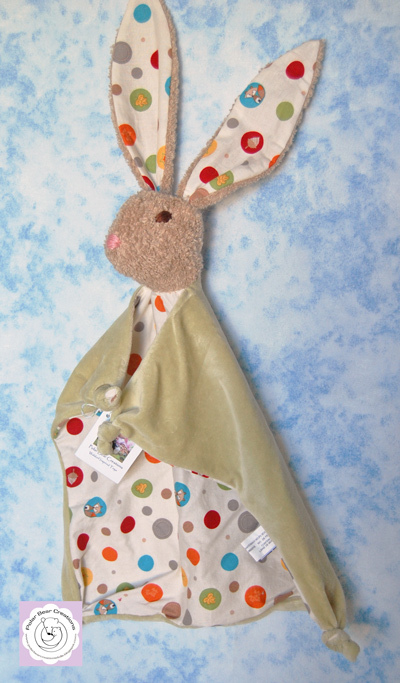 and about 12 inches from paw ( knot) to paw. 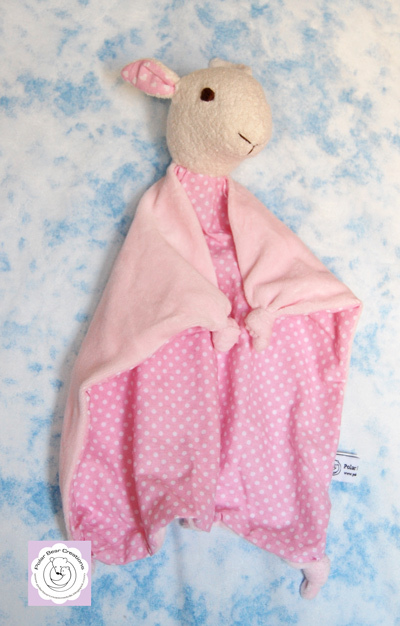 The head is made from cotton terry and stuffed with clean carded sheep wool and the face is embroidered. 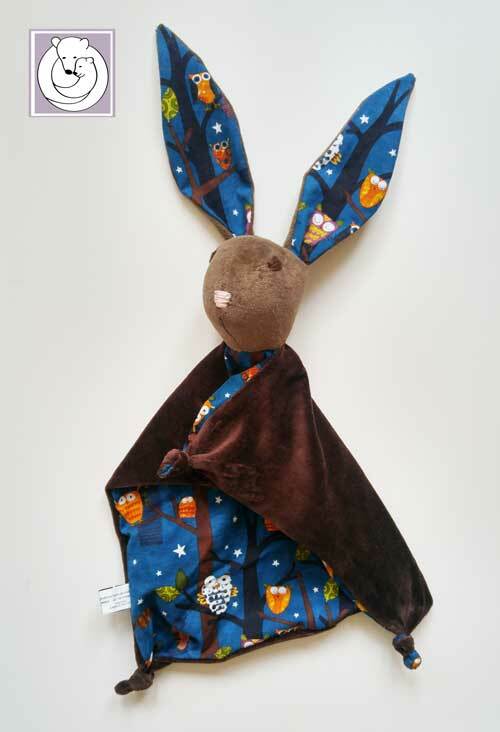 The body is cotton fabric at the front and cotton velour at the back. 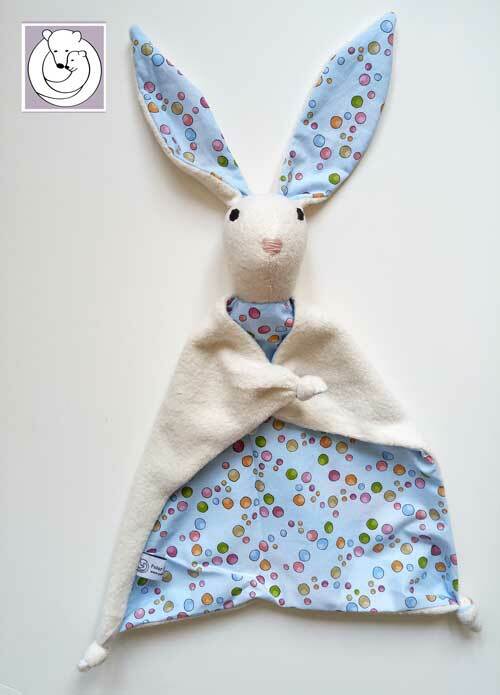 All the seams are sewn double and they have no small parts that could be swallowed.